If we as people have ever felt unsure of what to believe, who to trust and generally lost to what the hell is going on, it is surely now. An irratic, tweeting, loony leader of the free world, fake news coming at us from all angles, and all while we try to figure out what Brexit is actually going to mean. Living in the alternate universe that we seem to have found ourselves in almost makes Harold Pinter's work seem somewhat normal. This thankfully doesn't mean that any of Pinter's brilliantly dark humour or intensity is lost on a 2018 audience. In fact, it instead means that we are able to connect with his characters in a way not many have had the privilege to before. The Birthday Party was the second play Pinter penned. Written in 1957 and performed for the first time shortly after, the play wasn't initially well received and ended up finishing its run at The Lyric prematurely. Pinter of course proved to be ahead of his time, going on to receive an abundance of awards and honorary degrees, not forgetting the 2005 Nobel Prize for Literature. 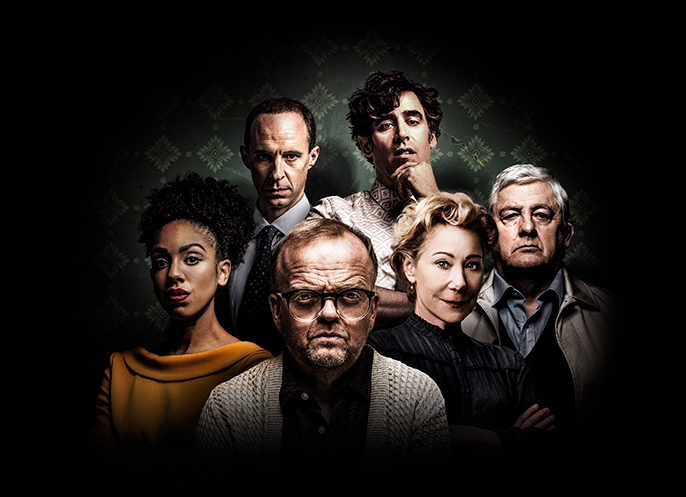 Boasting a much loved and critically acclaimed cast bound to pull the crowds in, this production is perfectly acted and directed with ease. Power shifts between characters when Stanley, a long time guest at Meg and Peeteys boarding house receives some unwanted visitors. Mccan and Goldberg stroll in to the house knocking all sense of any normality we had just about grasped off-kilter. Much like the mix of people in the 'real world', Stanley tries his best to fend off this new intimidating force, others turn a blind eye while simultaneously battling with their intuition, and some are simply seduced straight away. Now that Pinter's Birthday Party doesn't feel as bonkers as it used to, Stanley doesn't seem so strange, and Mccan and Goldberg not so alien, it would have been exciting to find the form played with and presented in an unexpected style. I mean, since we're here we may as well have fun!